Home Marijuana Trends & Articles Marijuana Stocks: New Connect The Dots Feature Is Coming! All members, new and old, this is one of the most exciting things we at marijuanastocks.com do: release new content highlighting companies that could be on the verge of significant developments in the cannabis sector. Every once in a while, we publish a “Connect the Dots” article highlighting a company that could have tremendous near-term upside potential. 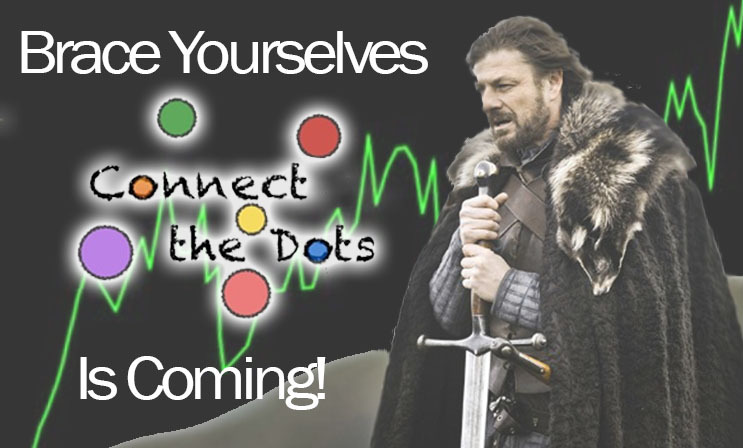 Over the last 4 years, we have selected less than 10 companies to be featured in a “Connect the Dots” segment. 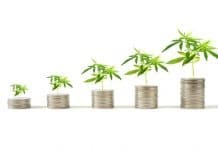 As the marijuana industry continues to evolve into the most excellent investment opportunity since the Internet Boom, so does the Marijuana Stocks subscriber base and loyal following. We take great pride in providing you with the most up to date industry and financial information available today. We are excited to announce that a new “Connect the Dots” feature on a Canadian marijuana company is coming this week. In our opinion, this company has the potential for high-paced growth and is building its framework, right now, to capitalize on a HUGE unmet need. With Canada flipping the switch for legalized recreational marijuana use in October of this year, in addition to so many huge industry catalysts we’ve seen come up over just the last few months, we feel that there couldn’t be a better time to look at opportunities to capitalize on the anticipated Canadian marijuana industry boom ahead. Back in the early days of MarijuanaStocks.com, we brought attention to a little-known company, BizAuctions.com. We identified this company as it was making a transition into the cannabis industry to later change its name and symbol to what we recognize it as today, CannaGrow Holdings (CGRW). At the time, BizAuctions (BZCN) was trading at 0.06 toward the tail end of October 2014 (click here for the article). The first run saw it hit highs of $1.05 on January 27, 2015 (a move of 1,650%. CGRW went on many breakout runs after that and MairjuanaStocks.com updated followers every step of the way as CGRW ultimately ran to highs of $3.45… And since then, we were dead set on continuing to deliver these Connect The Dots features. We also put our members on to several cannabis companies well in advance of any alcohol companies “sniffing around,” and we’ve even gotten the jump on speculating certain companies entering into the cannabis market. MarijuanaStocks.com Called Out Scotts Miracle Grow (SMG) as a Potential Marijuana Industry Player Before ANYONE: Hey @CNBC & @JPMorgan We Scooped You Back In December. Obviously, we’re aware that not everyone “goes the distance” in such a speculative space yet it still stands to reason that during the weeks and months following our initial coverage of many of these companies, the market saw incredible momentum build. And our members were ahead of the curve. It’s our goal to “connect the dots” for our readers to help identify opportunity in this budding industry. And thus far we have done more than just recognize opportunity; we have helped some earn a small fortune. We expect the Canadian marijuana market to pick up the pace in the last few weeks of 2018 and into 2019. Considering this, we feel that now could be the perfect time to start identifying opportunity and we’re going to do just that. The catch? Just as with our VERY FIRST Connect The Dots feature, our upcoming report will cover a company that is making its way into the legal cannabis industry & could already have the corporate framework built to compete with some of the biggest names in Cannabis today. So, stay tuned as we get ready to unveil a new Connect The Dots featured company Monday December 10, 2018 Before The Opening Bell!